Last night a wildfire started up the hill from Wrightwood, burning several​ acres. Because it was fairly close to the home we were staying at, we all made sure to pack our bags in case we had to evacuate. Fortunately it was put out by morning! Our hosts made us coffee and French toast for breakfast, we visited for awhile, cleaned up and went back into town to visit the coffee shop. 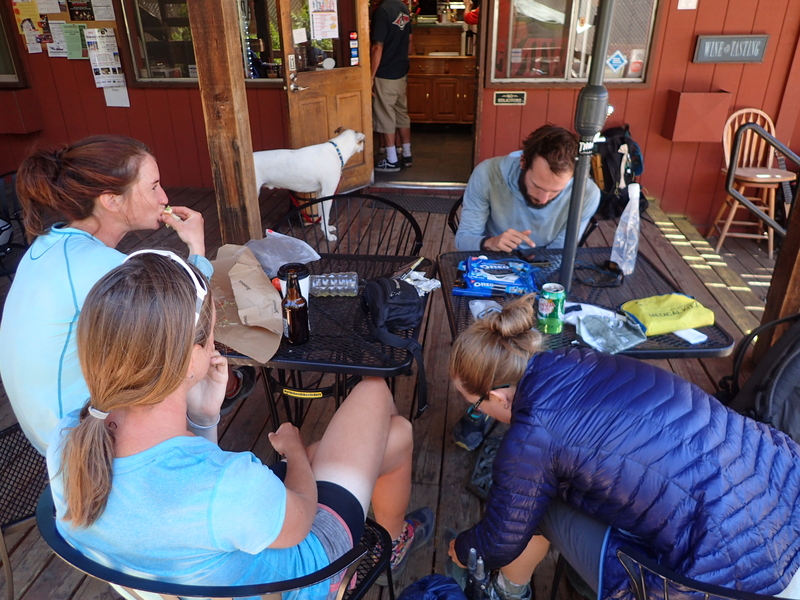 Since we had a short day planned, we stayed until after lunch before returning to the trail. 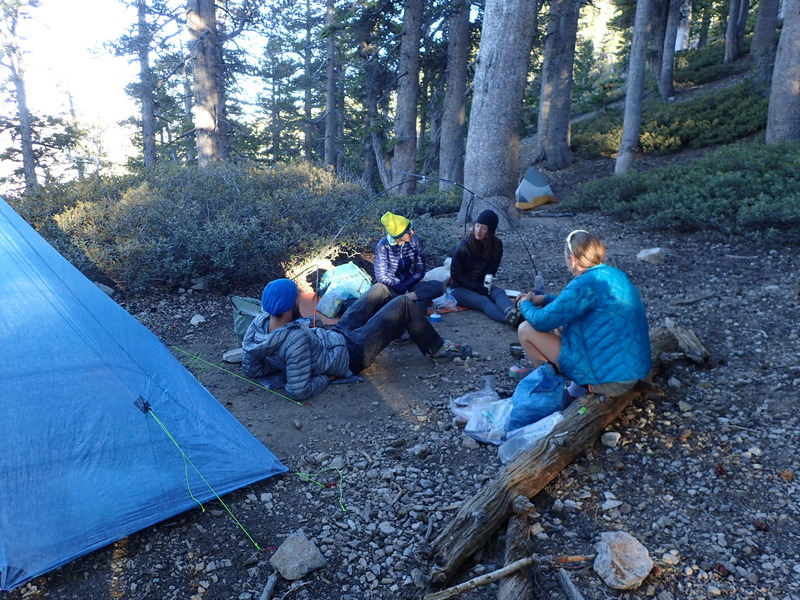 We hiked the majority of the way up Baden-Powell and are camped about a mile from the summit, with a thousand vertical feet to gain for sunrise tomorrow. We only hiked 7.6 miles today, so we had a nice time visiting at camp with our friends. Thank you for posting this. I finally saw my daughter in action. Hope is mine. Please post anything with her so that I may live vicariously. Thanks!